This month I saved my “empties” to share on the blog. I enjoy watching “empties” videos on YouTube, but since there is NO way I’m going to start a YouTube channel, I’ll share here 🙂 So, lets get started with a group photo of all the goods…. For me, it’s always a great feeling to finish something off!! Let’s briefly discuss each item. Starting from the left and working right, the first is a small bottle of Bath and Body Works “Into the Wild” lotion. This smelled so nice and I liked it a lot. Would I repurchase? Well, I have such a big back up right now of body lotions, that I’d be crazy to buy more right now! Next are two Origins products. I love Origins, and these two items are both in the “Grapefruit” scent. The top one is “Body Buffing Cleanser” which I used in the shower. It’s really nice, thick, and has little micro-beads that help scrub. The Origins tub is Grapefruit “body souffle”. I got both of these as a Christmas gift a couple years back. I loved the body souffle SO MUCH that I hoarded it and didn’t use it, except for “special occasions”. Dumb, dumb, dumb! When I opened this tub a short time ago, ready to lather myself in it – I was shocked to smell instantly that the product had gone off. It smelled so icky. I am ashamed to admit there was still about 1/4 of the lotion left. It really hurt to throw this out, but heck, I’ve learned a lesson!! EVERY DAY is a special occasion! Use the lotions and potions you love EVERYDAY! Next to the Origins, in the back, is a Bath and Body works cologne in “Moonlit Path”. I’ve had this for years and finally finished it off. Loved the scent, so soft and slightly flowery and a bit musky. Okay, I’m terrible at describing scents, but it was nice! In front of that is a Crabtree & Evelyn Rosewater shower gel. I got this as a gift last year and decided to USE IT NOW – before it went off too! Smelled great, but then I do love roses. Next to the shower gel is Victoria’s Secret small spray perfume in “Amber Romance”. I know I’ve raved over this scent before, so I won’t do it again, except to say, I love it and will definitely repurchase – someday! 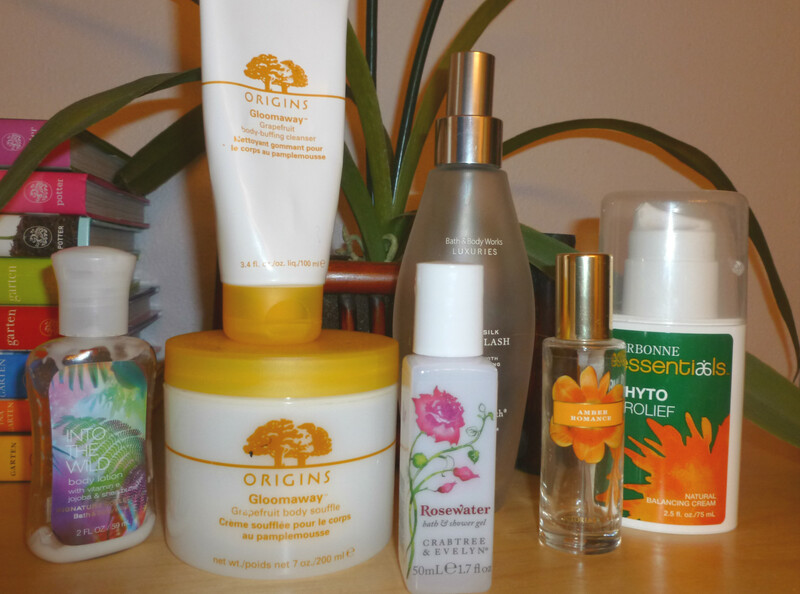 The last bottle on the right is Arbonne’s “Phyto Prolief” Natural Balancing Cream. I may be wrong, but I think this cream helps to somewhat reduce the symptoms of menopause, particularly hot flashes. I’ve repurchased this stuff numerous times, and will keep on doing it until I get through this “phase” of my life 🙂 Just for the record, I don’t buy this from Arbonne, but off Ebay for a much more reasonable price. 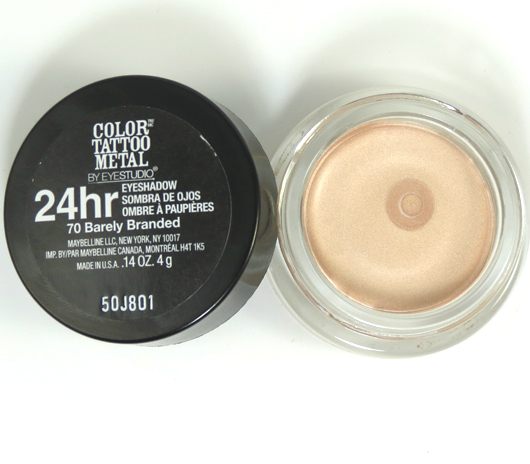 Next, a fail: Maybelline Color Tattoo in “Barely Branded”. I got this a bit over a year ago after watching some of my favorite YouTubers sing it’s praises. It was a bit too shimmery for me, but I did use it on occasion. Last week I grabbed it and when I opened it, it didn’t look anything like the photo below. It was totally dried up!!! Impossible to use. So, it went directly into the trash. What a disappointment. I do have other shades of Color Tattoo and really like them. Here’s hoping they don’t dry up as well! The next item – EOS lip balm in “Melon” also ended up in the trash this past month. I’d been using this, mostly at bedtime for quite a while. It too started to smell funny, so it joined the Color Tattoo in the trash! 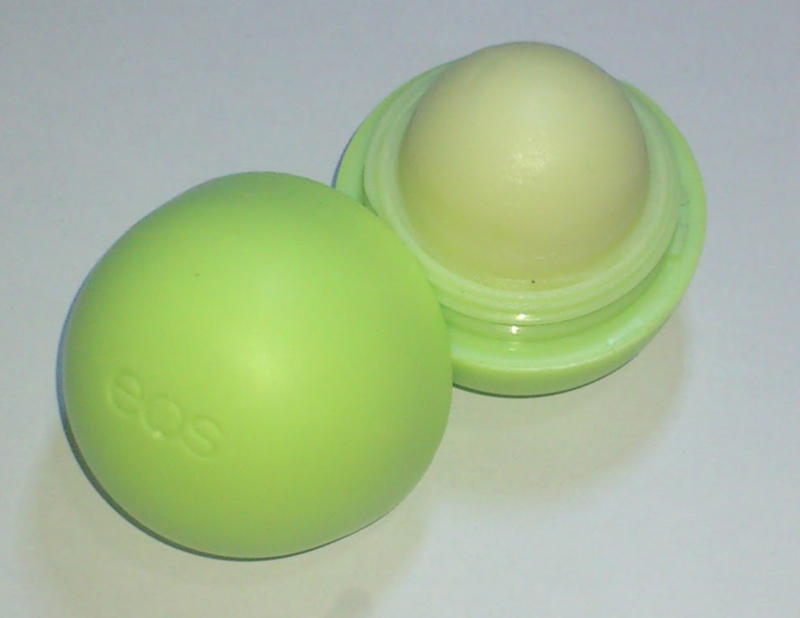 I’ve replaced it with a similar EOS balm, in “Sweet Mint” – love it! Yikes! I guess I REALLY like this color!! 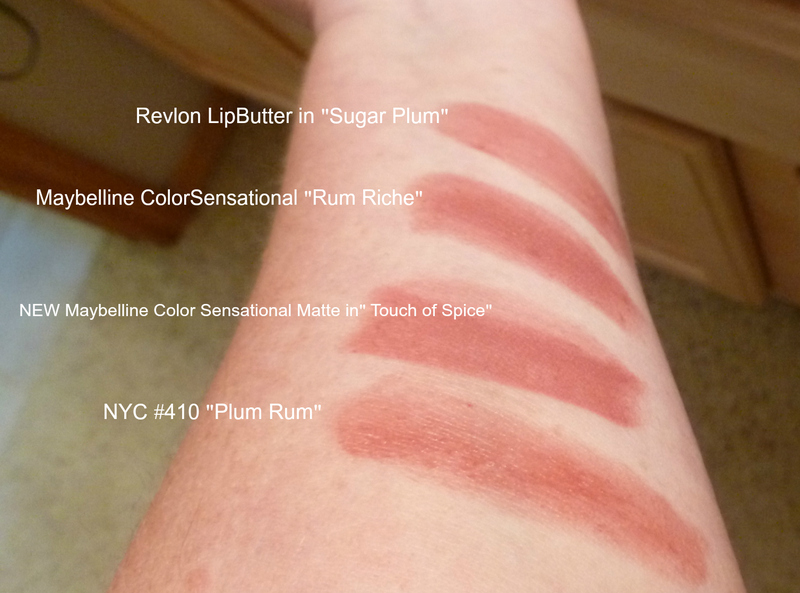 The Plum Rum is the sheerest lipstick, and the Rum Riche is almost exactly the same as the new Touch of Spice, except it’s NOT matte. Then there’s the Revlon lip butter in “Sugar Plum”. I love that stuff too – so much that I bought a back up the other day!! I guess that’s it for this time. Happy Autumn, everyone!! 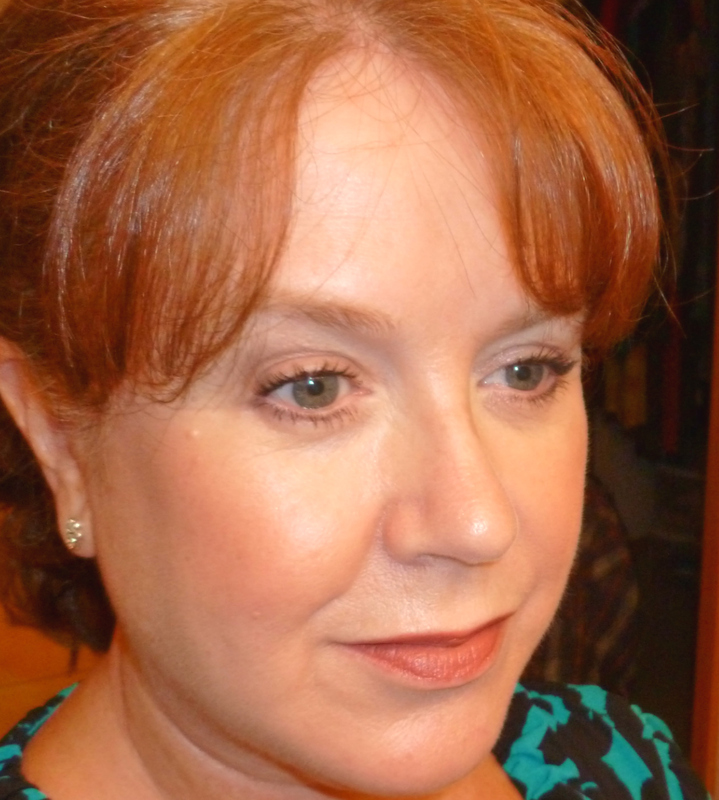 This entry was posted in Beauty and tagged empties, Maybelline, Origins. Bookmark the permalink. After hearing so much about Maybelline Touch of Spice I could not wait to get my hands on a tube. I was disappointed that it is basically Maybelline Rum Riche (which I already owned) except in matte. If I would have known that, I would have kept my money. Thanks for the swatches! So love reading these Susan!